Put a value on your advice and help clients understand just how much it’s worth. EDVOA’s easy-to-use tools do exactly that. An EDVOA account gives you access to the full suite of tools. 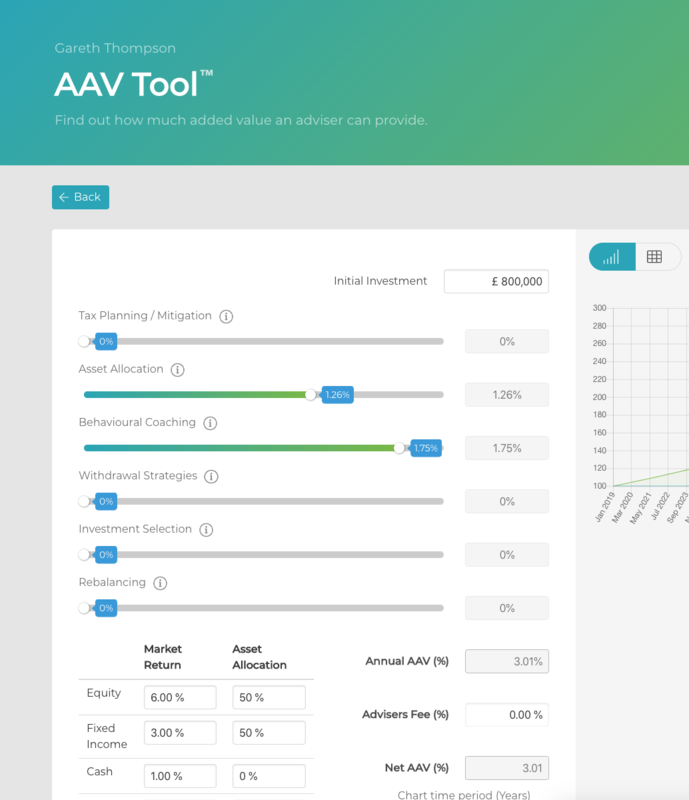 There’s value in taking guidance from a Financial Adviser; show how much by using the AAV Tool. 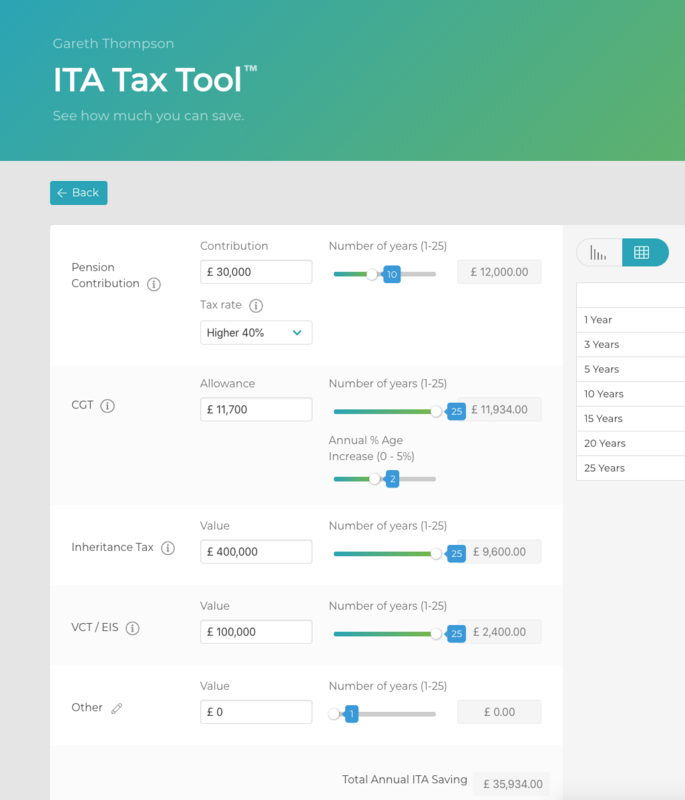 Demonstrate the difference you’ve made to your clients’ tax planning with the ITA Tax Tool. Want help using our tools? Our Get Ready guide might be useful. Cash is an important part of a client’s portfolio. 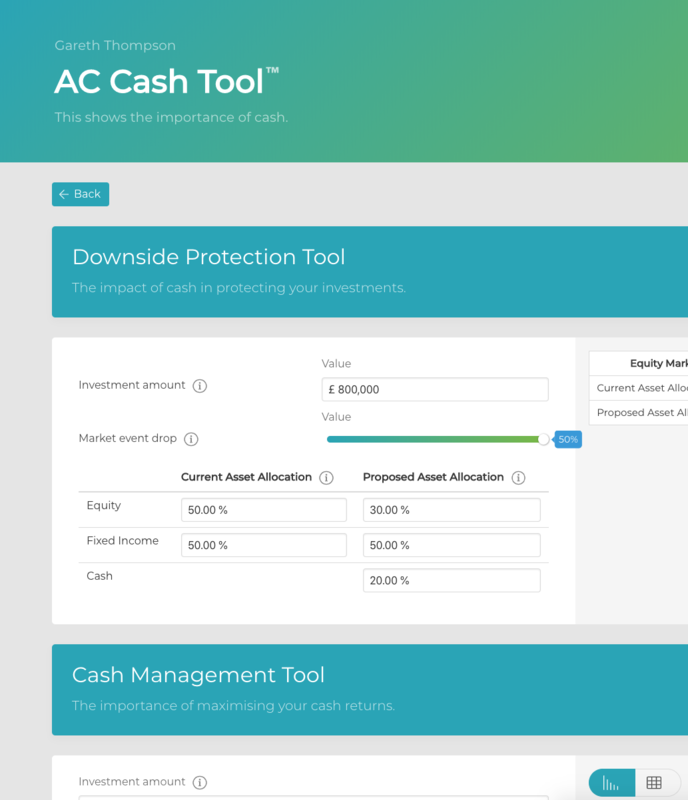 The AC Cash Tool reinforces why cash needs to be in the asset allocation analysis and gives clients a full picture on any market corrections. Got questions? Perhaps we’ve already answered it. Highlight the importance of cash management products. These look after clients’ bank accounts by taking multiple amounts and spreading them to get the best returns. They are continuously monitored and if required, moved to higher interest ones.